We’ve all experienced it. Misplacing the most important items of daily life can be a real problem making you late for meetings or put important information stored on a mobile device at risk. Keys, a wallet, a smartphone … they all seemingly sprout legs and walk away when we’re not looking. Or you could truly lose these important items, accidentally or through theft. A phone could easily slip out of pocket. Or a mobile device could disappear in a coffee shop the moment your back is turned. Tile can be attached to an essential device like a phone, remote or even a laptop. At just 37-millimeters square and 5 millimeters thick, it can also be stowed inside a wallet or pocketbook. The little device also features a hole in one corner that allows you to attach it to a key ring or other loop or clasp. Of course, other software, like Lookout Mobile, has been developed to protect specific devices like your phone from theft. But Tile is unique in that it can help locate any item it is attached to. Tile works by sending out a signal within a 100-foot radius. When you place a Tile on a device or object, a smartphone app helps identify where the object is. So, for instance, if you’ve placed a Tile on a lost set of keys, you can use your phone to help locate the keys using the Tile app. As you get closer to that lost item, the Tile and the phone communicate with each other. You can even activate an audible alert to make the object easier to find. But that’s not all. 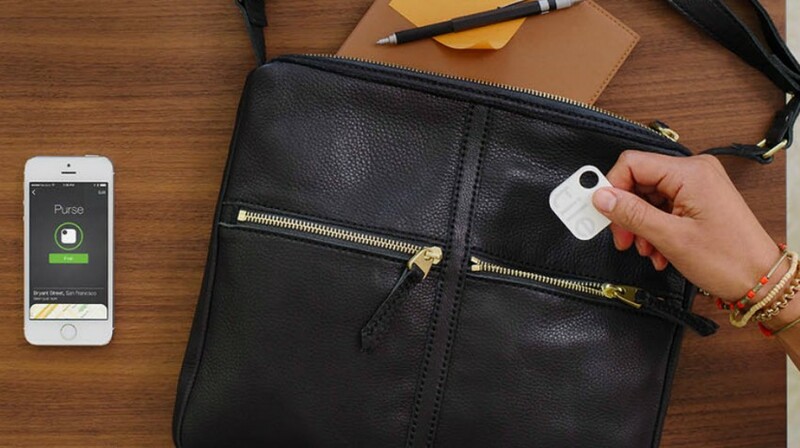 Soon, Tile owners will be able to share their identification information with friends and colleagues via a network that will allow others to help recover lost or stolen items, too. Development of the new device and supporting software is getting plenty of backing. TechCrunch reports that Tile has raised more than $13 million so far. That includes a $9.5 million venture capital investment in Series A round funding led by GGV Capital. During its seed round of funding, Tile received $3.5 million, including a large investment from Tencent. Tile also raised more than $2.6 million in a Selfstarter crowdfunding campaign. But the company came under some fire for failing to ship products it promised to backers, citing production delays. It’s a common problem that has happened more than once with crowdfunded startups. Outside of recovering lost or stolen items, it’s speculated the technology could have other applications, including some in the world of retail marketing. For instance, a retailer could use the little devices to mark particular items around a store then give access to customers who have the app and offer special promotions on merchandise that has been marked. Of course, the little devices still have some limitations. Right now, the app is only available for iOS 7 and iOs 8. So it works with iPhone 4S, iPhone 5 and both of the new iPhone 6s. The app also works with a third-generation iPad, a fifth-generation iPod Touch, and the iPad mini, the company says. The app can support up to eight Tile devices. Tile also announced recently that an Anrdoid version is on the way.